If one had just famous names, it would be possible to think that Polanyi had been able to gather his knowledge on them, with some refresh in books, but the attention to exhume authors not very well known, not to say forgotten, is troubling. 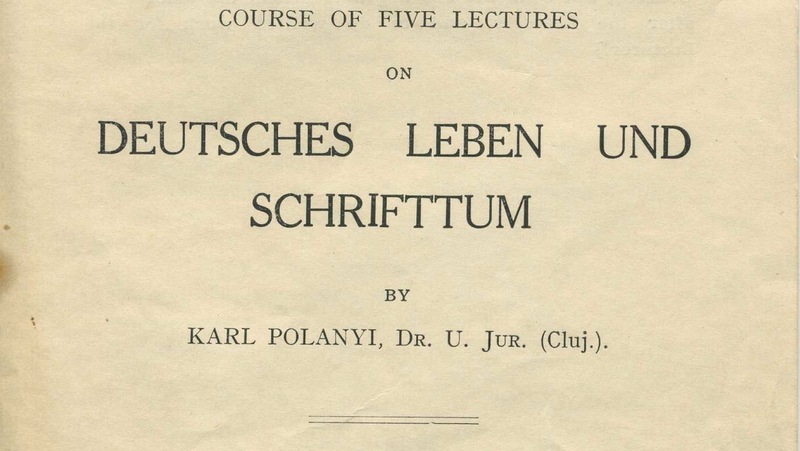 So, is there a secret Polanyi as it is the case with Hegel, and in a parallel and similar way, because they frequented the same secret societies, in Budapest for Polanyi and Germany for Hegel? So secret that it would have disappeared in the archives or because Polanyi had destroyed everything?